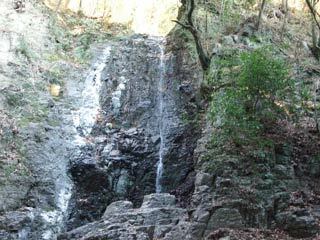 Matsuba Falls (松葉の滝) is located in Kakegawa, Shizuoka. It is 10 m high. There are two waterfalls. One is male falls, and the other is female falls. You can see male falls. You can enjoy great natures there. Especially, the water is so pure, and air is so fresh around the falls. 1. use JR Tokaido to Kakegawa. 2. use bus to Kurami Onsen. In the winter, there is not much waterfalls. We recommend to visit there in summer.